There's a longstanding Seattle tradition called Bicycle Sundays where the city invites people to enjoy a carfree street along Lake Washington, in an area that has a lot of large, expensive homes. According to the negative comments on this Rainier Valley Post announcement about upcoming dates for the event, it raises the ire of some residents. It certainly wouldn't surprise me to hear that wealthy homeowners dislike a public event that blocks their driveways and invites riff raff into their neighborhood; bicycling is still associated with poverty in a lot of Americans' minds. What's weird, though, is that biking in Seattle doesn't have this image. Biking in Seattle looks like it's for rich white people. Seattle and its surrounding suburban region is home to a lot of recreational cyclists who do long distance rides. There seem to be a fair number of commuters, too, but the geography and climate raise the barriers to participation in bicycling; that is, it really helps to be "into" bicycling to get around on a bike here. If you're part of a historically disempowered community that sees a lot of social value in symbols of wealth like owning a car, you probably don't know a lot of people who can show you the ropes on biking in a wet, hilly city. However, the lack of diversity on bikes, both in terms of race and class, does not deter people from claiming that Seattle is one of the best bike cities in the U.S.
Moving to Seattle from central Los Angeles, I didn't know that bicycling had such an elite image here. I was accustomed to transport biking in LA, where there are a bunch of scrappy bike cultures and a lot of low income people riding bikes. It was pretty clear there that when wealthy homeowners didn't want to see bikes on their street, it was because they didn't want undesirables to come into their neighborhood. In fact, it was hearing some people voice this fear in Long Beach in early 2008 that first got me going on this topic as a researcher/activist. But up here, it seems like bicycling has gotten the shaft because it's easy for people with an agenda to point to recreational cyclists in corporate-logo-splattered spandex and say that bicycling is for a privileged few. There's an odd hypocrisy at work in this "emerald city," cause it isn't green because of the way people live here. When it doesn't rain for a few days, you see smog in Seattle. The central city is expensive, and though a few close-in neighborhoods remain sites of struggle over gentrification, a lot of low income families have moved to cheaper areas further away. I am seeing what could be the future of American cities: expensive enclaves where livability, bikeability, and walkability mean robust resale values on homes, people still choose to drive everywhere, and the question of who can afford to enjoy this quality of life never gets asked. Maybe it's our unease with discussing questions of race and class that makes people silent on these issues, but this silence has consequences. One consequence of bicycling being implicitly associated with a particular, privileged socioeconomic stratum is this bizarre backlash where carfree people get characterized as a special interest group. 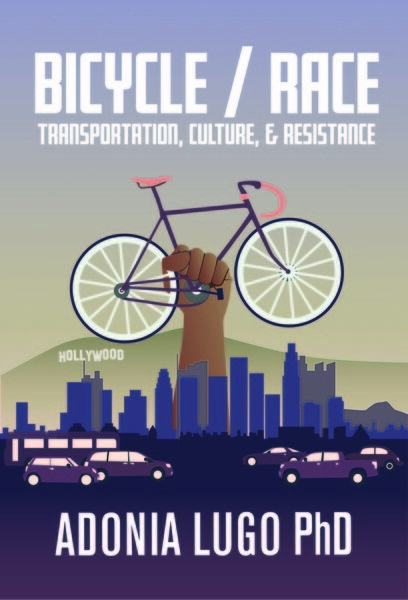 Eco practices like biking get framed as subcultural rather than for everyone because the bike movement has not done enough to confront and question the ways that transportation fits into long histories of discrimination and injustice in America. And yet most bike advocates I know are hard at work not because they want to dominate the world with bikes the way we have allowed our world to become dominated by cars, but because they have a passion for healthy communities and sustainability. If we want to make biking for transport as normal as we claim, it's crucial to include an explicit commitment to equity. It's a shame that this has been left unsaid for so long. Biking for transportation is too awesome (good for the planet, good for the community, good for the body, good for the local economy, good for the goose, good for the gander) for it to belong to one group. We need to acknowledge and celebrate diversity in bicycling where it exists, and we need to work our butts off to find out what's going on when there's only one community in a large city using bikes.